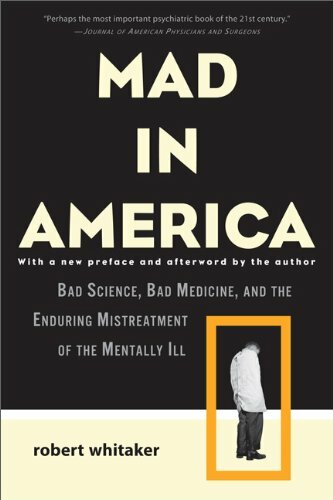 Mad in America is a history of the treatment of the severely mentally ill in the United States from colonial times until today. The book tells of the introduction of moral therapy in the early 1800 by the Quakers; the eugenic attitudes toward the mentally ill embraced by American society in the first half of the 20th century; and the various somatic therapies–the shock therapies and frontal lobotomy–embraced by psychiatry in the 1930s and 1940s. Finally, it tells of the poor outcomes for schizophrenia patients in the modern psychopharmacology era. (See chapters). Also, see the timeline for antipsychotics.